Being an artist has its perks. Decide what works best for you and your unique path. Everyone has their own process and their own flow. That’s why there’s no “one size fits all” solution for being productive. If you try and follow someone else's path, it often doesn't produce the same results for you. We all have our own histories and complexities. We all have different skills, strengths, interests, and passions that make our path unique. When working by yourself, you need to figure out what makes you tick. If you haven’t nailed that down already, the best place to start can be a little exercise in self-reflection. You probably know deep down where you want to be headed—you just need a little quiet time to access that feeling and turn it into action. 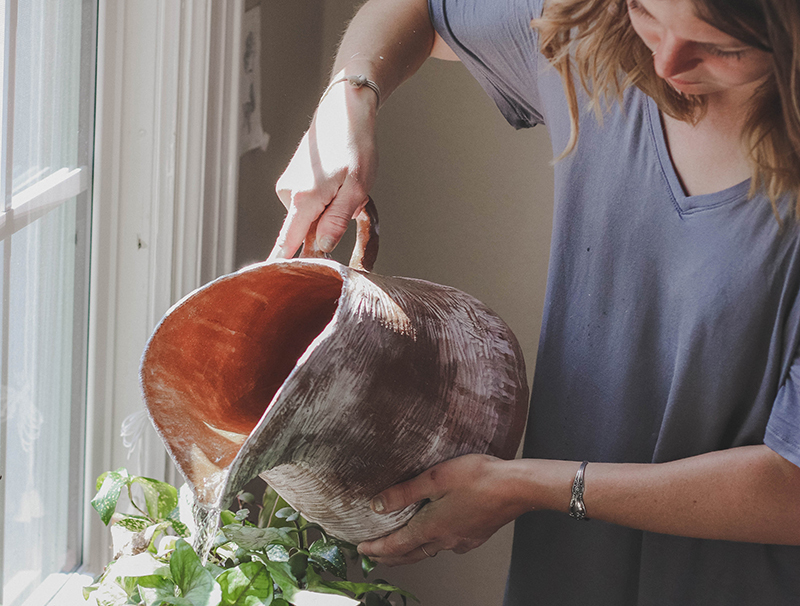 We’ve created an entire worksheet to help shed some light on your individual process—including your strengths and weaknesses, what you need to prioritize, what you should let go, and how you can tweak your schedule to include more time for making art. And it’s not just about discovering your creative process, though that’s a major bonus. It also involves figuring out how to work best around your peak creative times to complete everything that needs to get done, art business-wise and personally. You can start filling out your answers here. Play tricks on your brain with productivity cues. Did you know that it’s possible to trick your brain into being more productive? You can actually give your brain cues for when it’s time to get to work. 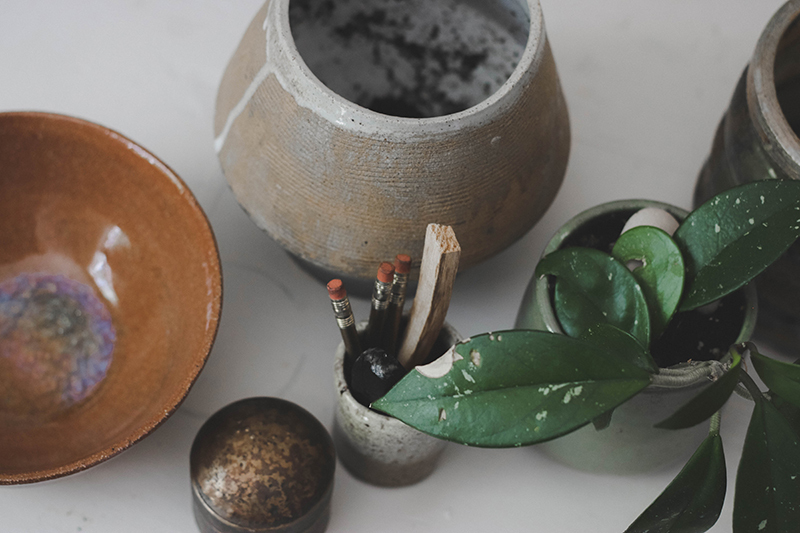 First, divide everything up into three spaces: where you create, where you conduct business, and where you relax—then try not to overstep those boundaries. It could be as big as entirely different rooms within your house or using furniture to define each space in one room. You’ll always know what you need to be working on (or not) depending on the space you are in at the time. When you leave that space, your brain will recognize that it’s time to switch gears, making it easier to jump into the next task. Some other cues? Turn on your favorite playlist in your studio space. Sit at a desk instead of a couch when tackling admin. Light a sweet-smelling candle at the end of the day when it’s time to relax. The possibilities are endless when it comes to developing these habits. Just make sure these cues correlate with your work style. Use your answers from the exercise above to help understand what motivates you. Remember that small distractions add up and don't actually help you relax. Taking breaks is essential, but when you’re always picking up your phone or checking social media, it can quickly eat away at the time you have to get work done. And, when you’re alone at home in the studio, no one is there to keep you honest. Vowing to stay focused is a great start, but we’re willing to guess that without a set plan, it won’t do much good. So, practically, how can you keep distractions at bay? Maybe the game plan should be putting your cell phone in a drawer when you get in the studio. Or, turn off the television when it’s time to start answering emails. Invest in a reusable water bottle so you don’t trek to the kitchen every fifteen minutes for a refill. You may even consider setting “office hours” if family and friends insist on popping their heads in. Actually, write these rules down! Forgo some flexibility and block your tasks. Remember how we said it’s easy to get lost in the flexibility of an art career? So, why not take some of the flexibility out of it? Instead of deciding on the spot what you are going to work on next (which can waste more time than we realize), draw out a daily schedule for yourself. Start by blocking out chunks of time for specific tasks, and use your newly discovered work preferences to decide the order. For instance, are you more focused in the morning or still trying to wake up? Would you rather start with a fun task like creating to get you motivated? Or, would you rather get boring admin tasks out of the way, so you have the rest of the day to be inspired? Fill the space around your peak creative times with other to-do’s. What tasks do you know you need to complete every day or week? Add those blocks to the schedule. Deadlines don’t have to be feared. Keep a running to-do list and set reminders so nothing accidentally goes unnoticed. And, resist the urge to multi-task. In the end, it only hurts your focus. You can even fill in your calendar with what you did after the fact to see how productive you were, what worked, and what could be changed. Just be sure to keep some time slots available for things that pop up unexpectedly, as well as time for much-needed breaks. Save time on the boring stuff. Sometimes there’s going to be work to do that isn’t your favorite. It’s true of any job. For artists, it’s running the business side of things. And, that’s when procrastination becomes the ringmaster of your circus. The key is to make doing these colorless tasks as easy and efficient as possible, so you remain productive before being bored to the point of no return. Plus, the more productive you are doing the so-called boring work, the more time you’ll have for the fun stuff! Look for tools that can help you save time. 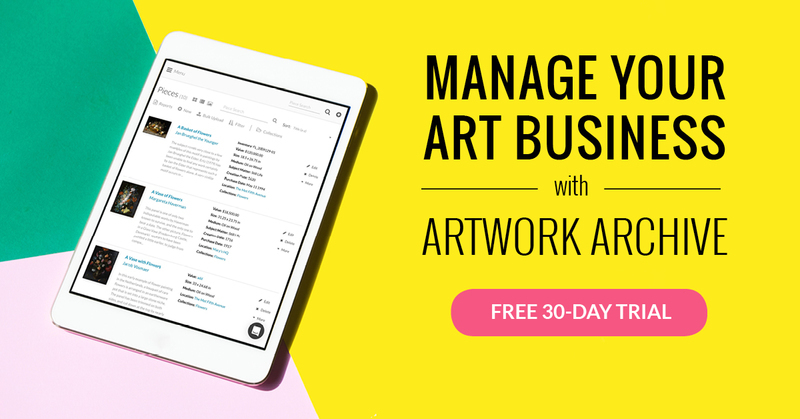 There are so many tools available to artists these days, from social media scheduling and pre-designed website templates to inventory management systems like Artwork Archive that can help manage practically every aspect of your art business. Another tip? Set up workflows, or steps to follow, to help save you time in the studio or managing your career. This could be setting out all your supplies before you begin a new piece or cleaning up at the end of each day, so you aren’t greeted with a mess in the morning. Or, it could be entering pieces, contacts, and locations you work with immediately in Artwork Archive, so you can record sales and track your work’s whereabouts more easily down the road. Embrace a more gentle, less perfect self. At this point, you might be thinking, “Schedules and workflows? This takes all the fun out of being an artist!” But you’re still the boss! By adding just an ounce of structure to your work schedule, you’re going to get more done and take a colossal amount of stress of your shoulders—which doesn’t sound half bad to us. But, there’s a flipside to productivity. It can be hard to wade through what’s “good enough” when you’re the one setting all the goals. And, perfectionism is a real thing. If you never allow yourself to take a break or guilt yourself into always working late, you’re going to burn yourself out pretty quickly. Being successful is great, but if you don’t enjoy what you do anymore, is it even worth it? There’s a fine line when it comes to being productive and being way too hard on yourself. The last thing you want is to introduce more stress into the equation by berating yourself for failing to adhere to a schedule or missing a workday. Allow some wiggle room in your routine, but stick to things enough to turn your main productivity objectives into habits. Did you land first place in a recent show? Take an hour or two to treat yourself to lunch. Did you finally type up all those social media promotions? You’ve earned a 15-minute break. Celebrating your accomplishments will help your brain correlate hard work and success, making you eager to keep going! Just be honest with yourself about the right work-life balance. And if you start to notice something unreasonable keeping you from being productive, don’t beat yourself up. Adjust the sails and change course. Master the art of taking breaks. We’ve all been there, done that, and seen how working for long, interrupted hours can slow down our productivity. Even if you’re in the zone working on a piece, your hands, back, and feet may not be able to handle the strain! So why not take a few minutes to rejuvenate your mind and body. Don’t underestimate the impact your health has on your art practice. You can use the Pomodoro Technique—for every 25 minutes of work, take a 5-minute break. Or, work in 90-minute blocks and take 20-minute breaks. Use this time to clear your mind, stretch out those tired muscles, and stay hydrated. Don't ignore the people in your life. Studios can be isolating. And, we all know that running a thriving art business is no easy feat. When you are all alone and feel like no one understands what you’re going through, that feeling of loneliness can creep into your practice and affect your productivity. That’s why you should make it a priority to get out of the house! Meet a friend for coffee. Walk the dogs with a neighbor. Join an artist association. 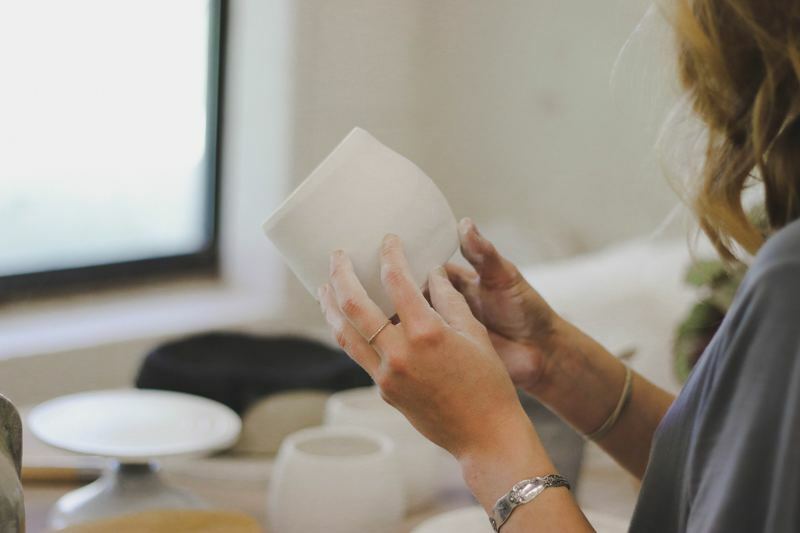 Host open studios with artists around town. Support your fellow creatives at openings and festivals. Hire a studio assistant. Anything that gets you with other people and remembering what a great support system you have. If you feel guilty not being in the studio, consider it an investment! In your mental health, your creative process, and ultimately your art career. You need to be in the best mind-space possible to create your best work. Give yourself office hours and stick to them! Our last bit of wisdom: set a time for the end of the work day and then be done. And we mean DONE done. Most working men and women get to hop in their cars and leave work in the rearview mirror. It’s harder when your studio is only steps away! Spend 15 minutes or so to wrap up what you’re working on. Leave a to-do list so you aren’t tossing and turning all night long. Then give yourself space. Close the studio door. Add more bullets to your list if they come to mind. Otherwise, unwind, enjoy your evening, and get a good night’s sleep. In a world that constantly calls on us to achieve, self-care should be a top priority. You need time to recharge, mentally and physically, just as you would with any other job. And, with only so much time to work, a set ending time will push you to achieve more during the day. It’s a win-win! When you’re an artist working alone from home, you have to be conscious of your productivity. Especially if you’re trying to make a living from your work. But, that doesn’t mean fun and flexibility are thrown out the window. Those are the reasons you became an artist, after all! It just means you have to find what works for you—your work style, the right routine, and managing your business. Want to stay productive while living out your passion? Artwork Archive can help. Try it for free. Yes, a bad critique hurts. But it doesn't mean you’ve failed as an artist. Learn how to move on.